Social media phenom Tyler Oakley is going to lead the fall Homecoming Parade. Details here. Refresher: Tyler's a 2011 graduate of Michigan State University’s College of Communication Arts and Sciences and is an independent creator on YouTube – one of the largest digital platforms to date. With nearly 8 million subscribers on YouTube and over 23 million across his social media platforms, he has been established as one of the most influential LGBTQ+ vloggers and is an A-Lister in the digital age. Oakley has gone on an international "Slumber Party"-themed tour, was on the New York Times Bestseller List for 11 straight weeks for his book BINGE, released the documentary SNERVOUS and, along with his best friend and fellow Spartan Korey Kuhl, launched Psychobabble, a weekly podcast discussing "unfiltered gossip" and untold stories that has climbed to number one in the iTunes podcast chart. Currently, Oakley hosts the show The Tyler Oakley Show on ellentube. Check out his full bio. Catch the full October 15-21 Homecoming list of events here. If money talks, MSU sings. Money magazine just named Michigan State University No. 30 on the list of “711 Best Colleges for Your Money.” With a graduation rate of 77 percent and the average salary within 5 years at $50,400, MSU landed in the top 1.5 percent of the colleges considered for the ranking. We ranked higher than all but three Big Ten universities and ahead of such institutions as the University of Chicago, Cornell, Duke, and Dartmouth. Over the past four years, MSU has climbed steadily in Money’s ranking, rising from #122 in 2014, to #109 in 2015, to #54 in 2016, and #30 this year. So, excellent job financial guru—treat yourself to a freshly made waffle cone of Dairy Store ice cream and rest assured that you made a wise investment when you elected to become a Spartan. Ever felt like there was something holding you back? The obstacle? A whale of a bridge. The concrete overpass of US-127 crossing Michigan Avenue. Remember it? Maybe. Maybe not. But city officials noticed many MSU students never traveled beyond Frandor Shopping Center to explore the city because of the bridge. So city officials decided to beautify the barrier. 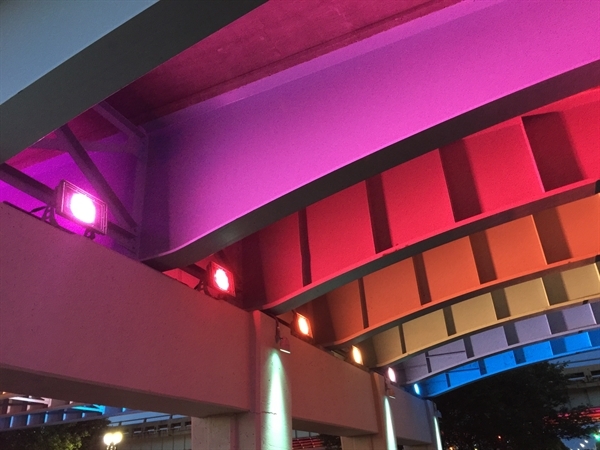 They launched the Under the Bridge project, which called for the installation of multi-colored lights and artistic murals underneath the bridge. The Lansing Economic Area Partnership, or LEAP, worked to crowdfund $57,000 of the funds and received a matching $50,000 from the Michigan Economic Development Corporation, based in Lansing. Local artist Brian Whitfield worked on the murals throughout the summer and is expected to finish soon. As the university gears up to start the next semester, the city hopes a new generation of Spartans will venture beyond the beautified bridge to see all that Lansing has to offer. 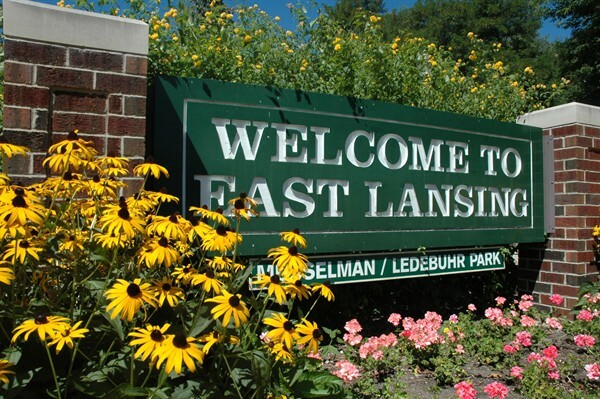 At some point or other, all of us have called East Lansing home. Our special town was recognized as the second best college town in the nation by WalletHub. The personal finance company ranked 415 universities on areas like social environment, academic and economic opportunities, and “WalletFitness,” otherwise known as the cost of living. East Lansing came in before all other Big 10 universities, including the University of Michigan, which took the No. 7 spot. We were second only to Oxford, Ohio, home of Miami University. Whether you’re the next Picasso or you stick to stick-figures, there’s a reason to be excited about the achievements of alumna Rachel Quinlan. 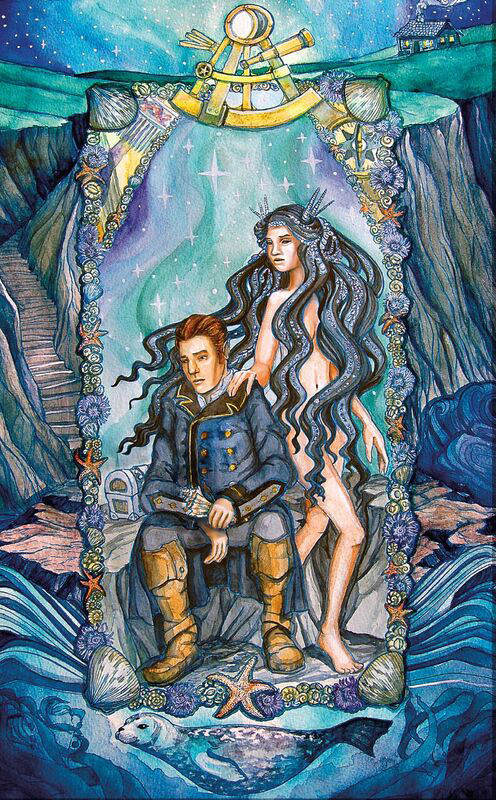 The 2001 Arts and Letters graduate was honored at the annual L. Ron Hubbard Achievement Awards in Los Angeles as an "Illustrator of the Future." Translation? She won a super impressive award because she’s a super talented illustrator. The week-long workshop and awards ceremony are only for the best and brightest in science fiction and fantasy writing and illustration. Participants must win a contest, granting them access to the workshop. There, they have an opportunity to learn from the greats, and even get their work published. An anthology that includes Quinlan’s work was just published and has already reached both the USA Today and Publishers Weekly Bestseller Lists. What would happen if Beethoven met Jack Sparrow? It would seem so wrong, but sound so right. And Chad Rehmann is the musician who can facilitate such a meeting. He did a collab with Lisa Dondlinger, Grammy nominated musical artist, for her debut album Movies & the Masters. The album is a mash-up of famous orchestral works with iconic film soundtracks. 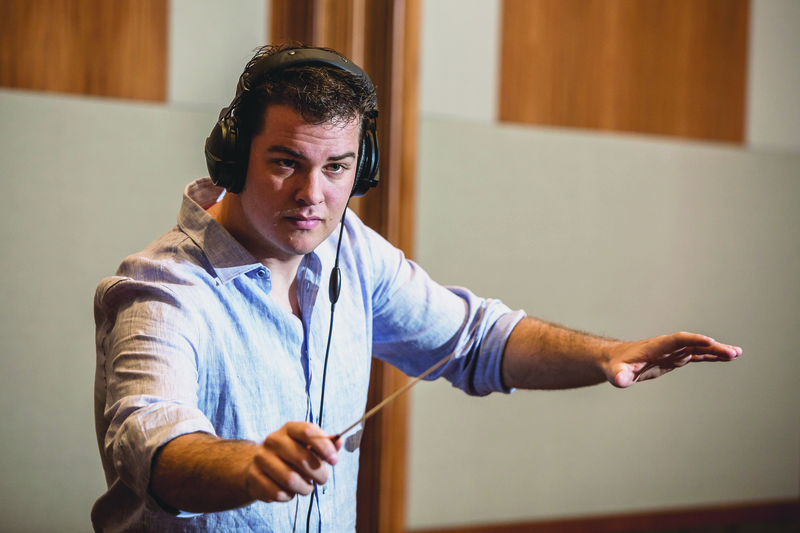 For those of you who missed our friend Chad in the MSU Alumni Magazine last year, he’s a 2003 alumnus from the College of Music who currently works as a film composer in LA. Three of his movies are scheduled to be released early next year. If you need to mash up your own music routine, check out this album preview featuring Beethoven’s 9th and the soundtrack of Pirates of the Caribbean. It won’t disappoint. MSU Athletics announced their 2017 Hall of Fame. The inductees all come from different sports and eras of Spartan Athletics. And man, are they inspiring. Read their stories. 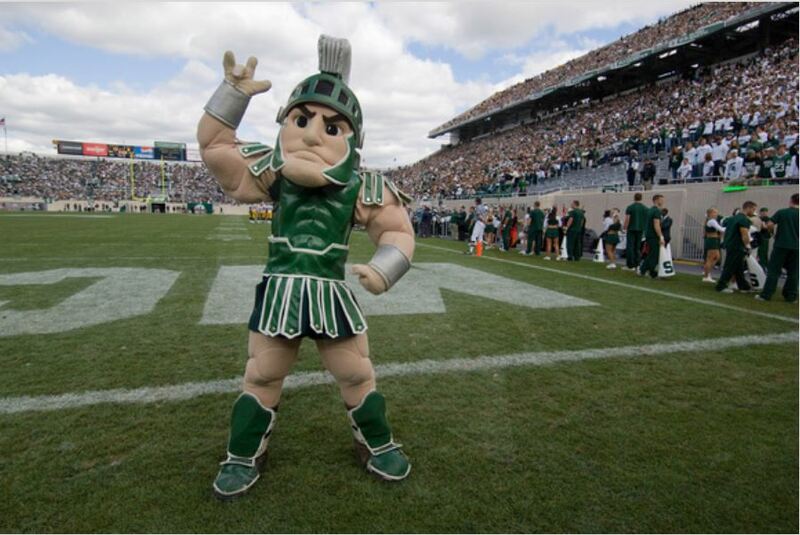 The five Spartans will be inducted during a ceremony on Sept. 30.